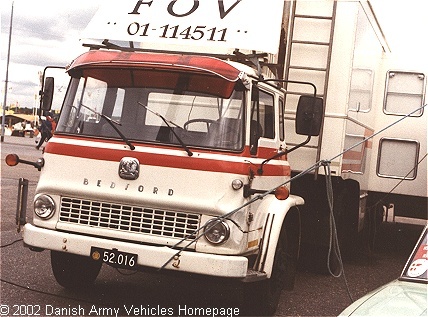 Danish Army Specific: Presumably introduced in the early 1980´s. Historical: In August 1960, the cab-ahead-of-engine TK made its appearance. It was as unconventional then as it became common later. The range of different versions was larger than ever before. Petrol and diesel engines were available up to 10 tons GWV. Many TK models appeared in British military livery. The TK-range was kept in production until 1984, and at least 500.000 were produced. The model shown is a special ultra-short version of the TK 4- and 5-ton chassis produced as a joint exercise with Tasker from 1968.